What’s your house telling you? As you walk through your house, is it letting you know about water problems in the basement? An aging roof? Or the great condition of the electrical system? Probably not. That’s what Finest Home Inspection is here for. Exterior and interior, top to bottom, we’ll tell you the inside story, so you can move on to the next chapter of the home-buying process. 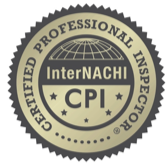 Jon and Jennifer Ellis started Finest Home Inspection to provide home buyers, home sellers, and home owners with the knowledge you need to make informed decisions about your most personal possession—your home. We want to help take the mystery out of understanding your home and what is needed to best protect your family and your investment. From our diverse backgrounds that span from commercial fishing for salmon in Alaska to preserving the health of aquifer, river, and estuary systems in Texas, we’ve been around the block a few times and gathered up a rather wide array of skills. Jon has spent the better part of the last 20 years building, remodeling, maintaining, and inspecting custom homes and feels very at home helping customers navigate big decisions related to what is likely your most important investment. All that was missing was our desire to have our own family business in which we could work to serve the community and our customers the way we have come to most appreciate— a fine product served up with the finest customer service. At Finest Home Inspection, you will always get Jon as your inspector. We will be here for you, answering your phone calls, answering your questions, inspecting your home, and writing your report. 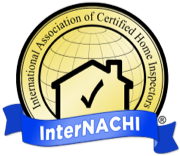 We commit to being there to help you before, during, and after your inspection and hope you will give us the opportunity to provide you with the Finest Home Inspection you could ever dream of.